Income Property Organization is pleased to present the exclusive marketing of the Cordes-Matthias Rural Development Multifamily Portfolio, which consists of seven apartment communities totaling 191 units, and is located in Northern Michigan. Ownership will consider offers on a portfolio sale. 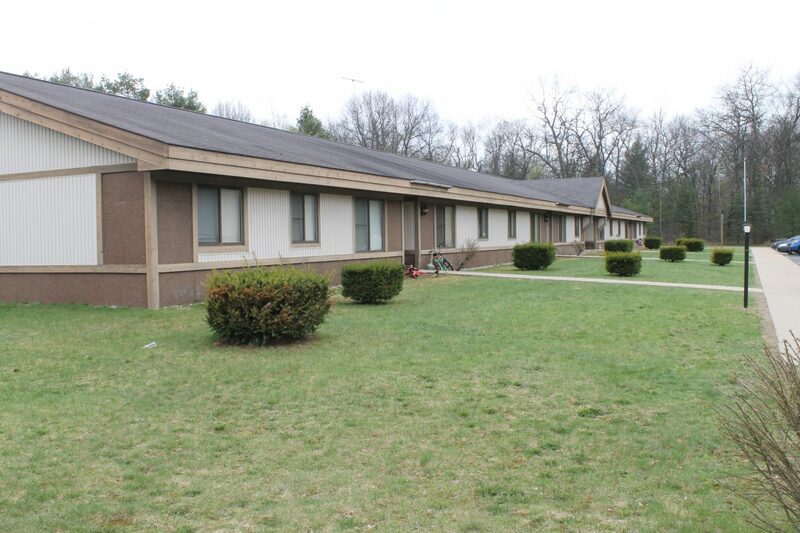 This offering is comprised of seven apartment communities: Pinecrest Manor (44 units) and Hidden Brook Manor (32 units), located in Alpena; Oak Leaf Manor (27 units) and Country View Manor (14 units), located in Lewiston; Maplewood Manor (20 units) and Stone Manor (20 units), located in Mio; and Hidden Creek Manor (34 units), located in Prescott. The portfolio is performing well and each property is continuing to trend in a positive direction with respect to occupancy and rental rates. Currently the portfolio as a whole is operating at 95.2% physical occupancy and 94.2% economic occupancy. Rental rates are below the market average at roughly 69¢ per square foot, leaving room for a new owner to add value through rental rate increases. Management has petitioned Rural Development for a $25 monthly increase to hopefully take effect this Fall. Additional increases may be requested in subsequent years. From a physical standpoint the portfolio has been well maintained as a result of ownerships historic capital improvement program required by Rural Development. Recent improvements include four high-efficiency boilers at Pinecrest Manor, Oak Leaf Manor, Stone Manor and Maplewood Manor and a new roof at Hidden Brook Manor. From an operational and maintenance standpoint this portfolio offers investors a turn-key investment with in-place management. Currently, the portfolio is part of the U.S.D.A.’s Rural Development Program. The existing financing is subsidized through the government, and in exchange, the rental rates are restricted and set by RD each year. Additionally, RD administers significant control over the operation of the complex, requiring annual budgets to establish a balanced income and expense, to provide negligible cash flow. The portfolio is being offered to the market via the “Prepayment Program,” whereby the asset is officially removed from the government program. All loans were originated prior to 1989 thus eligible for prepayment. This process enables an investor to operate the communities outside of governmental control by increasing rents and having no limit on cash flow. Any existing tenant maybe eligible for a “voucher” to help transition the property to market rate upon prepayment of tis subsidized loan. Therefore, IPO has projected a Pro Forma based on market-rate operations, using current market rents and market-rate expenses for apartments of this size. Repair and maintenance are billed to the owner at $60 per hour plus costs, so IPO reduced this to market rate as well as insurance, and used actual T12 expenses for the remainder of line items. Alternatively, the portfolio can be acquired and removed from the LIHTC program or maintained within the current program via a partnership buyout. IPO has projected a combined NOI for the portfolio of approximately $493,448, which is based off approximately $1.1M in Income and $605K in Operating Expenses. Based on the asking price of $7,000,000, or $36,649 per unit, this offering reflects a cap rate of 7.05% cap rate. The above figures are based on increased rental rates, estimates for expenses, payroll and management. Since it is our expectation that most investors will seek to operate this portfolio themselves, we have utilized payroll expenses that are consistent with market averages. It is our professional opinion that even in light of these estimates our underwriting is still conservative. Specifically, we have maintained market rental rates when our market survey has indicated these rents are consistent with the mid to low-end of the market average. If a new owner where to impose even a modest rental rate increase of $25 per unit, the NOI of this portfolio could approach $500K and a new owner would have effectively added over $750K in value without any financial investment into the assets (based on a 7.0% cap).